This item has been replaced with the Onyx EZR with Vehicle Kit. You don’t need bells & whistles to bring your drive alive. 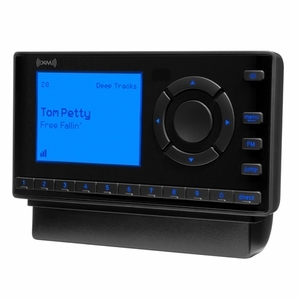 The Onyx EZ makes satellite radio simple to install, use and enjoy so you can focus on the best part –listening. Hit the road in no time: installs easily on your dash to let you hear SiriusXM through your vehicle. View artist name, song or program title, and channel information at the same time. Keep your favorites at the ready: store up to 10 channels for one-touch access.